At EADA we’re excited to launch a new campaign among all Alumni to fully fund a scholarship for one talented woman in Africa to join the Master in Management. EADA’s mission is to impact the personal and professional development of business leaders who will contribute to a more just and equal society. Africa is home to a massive young and growing population and yet it has not been given the opportunity to capitalise on this despite possessing the solutions to many of the global human capital dilemmas. EADA and its Alumni can help train the next generation of global leaders to bring about change by offering one high potential candidate a unique opportunity - the opportunity to complete a Master in Management at EADA! EADA will match every donation - for every € received, the school will add an additional 2€ to the fundraising effort. EADA Business School is now Top 25 in Europe and Top 50 in the World, according to the Financial Times. The Master in Management is ranked 37th among the top 90 best Masters in Management worldwide. The scholarship for the Master in Management will be equal to 90% of the total cost including tuition fee and living expenses in Barcelona during the year of the programme (September 2018-September 2019). EADA will match every donation - for every € received from a donor, EADA will add an additional 2€ to the fundraising effort. All donors to this campaign will have the opportunity to join a masterclass webinar by Alexis Mavrommatis. Brenda Odari will be able to attend the Master in Management at EADA starting in September 2018. She will be telling donors about her amazing experience. EADA launches this crowdfunding campaign for the first time to fully fund a scholarship for one person in Africa to join the Master in Management 2018-19. This will be the “The alumni Scholarship”. 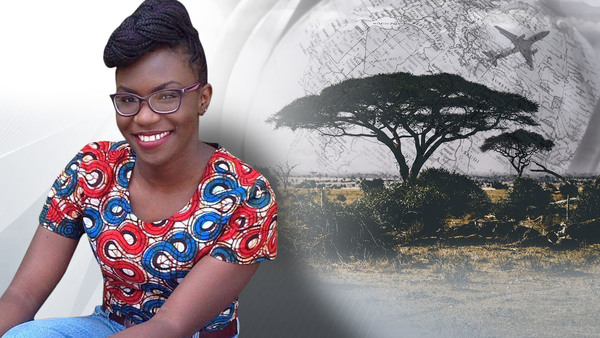 Brenda Odari is a young talented professional in Kenya who can have an impact on her local community. For her, this can be a life-changing opportunity!